Your searching for a toothbrush that will help with your gum problems. That tells me straight away that your oral hygiene is not up to standard and you should go to your dentist before you think about buying Specific toothbrushes for your problem. In my humble opinion there is no Best Electric Toothbrush for gum disease. Any good quality electric toothbrush will do the trick. The only exception is if your gum disease is so severe it has progressed onto periodontal disease. Gingivitis – Affects only the gums, the tissue that surrounds the teeth. If you have pink firm gums that fit nicely around your teeth and dont bleed when you brush them, then good news for you: You dont have gum disease! On the other hand if your gums are dark red, swollen and painful when you touch them. Also when you brush them they start to bleed: You my friend have gum disease. 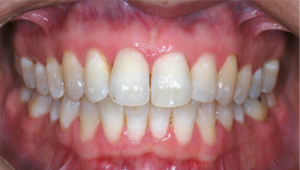 Periodontitis – Causes inflammation of the gums. spreads below the gums to damage the tissues and bones that support the teeth. FUN FACT: It is one of the most common human diseases. Do you have gums that easily pull away from the teeth? Or pus coming out of your gums? Or even teeth becoming loose? If you answered yes to any of these or all of them, then its your lucky day: You have Periodontitis. DON’T LET IT GET TO THIS STAGE!. You need to get your dental hygiene in order, otherwise you will lose your teeth faster than candy floss. If you want to look into the intricate details of gum disease and the various symptoms and how it is diagnosed, you can go and visit WebMD. Can I Reverse The Effects Of Gum Disease? When it comes to Gingivitis, there is always a way to get your teeth back to a healthy state but only if you take heed and act upon the advice i have given on numerous posts on this site. because you will lose the support structures around the teeth such as the bones that hold them in place and these are permanent features. At best they can only be halted by surgery and even then you teeth might not be the same again. Just follow the advice i have given on my the other post: Top Tips For Healthier Teeth and you will be alright. I guarantee it! Will An Electric Toothbrush Help With My Gum Disease? The best electric toothbrush for gum disease is any brush that you use. Its not about specific toothbrushes that can get rid of gum disease, it’s more about the technique and how you brush your teeth that will determine if you will have a beautiful healthy smile. One thing for sure is that Electric toothbrushes have been proven in numerous studies to be more beneficial than manual ones. More strokes per minute – much more strokes than manual brushes which sort of has a polishing effect on your teeth. End result = more debris removed from the teeth. Less pressure on teeth – Using a standard brush people tend to brush their teeth hard like it will get rid of stains and what not. In fact it will do the opposite and make your teeth and gums bleed. Electric toothbrushes do all the work for you, Just guide it along your teeth. Easier on the wrist – for old people and people suffering with dexterity issues, electric brushes are much easier to use because they have bigger handles to get a better grip and they do all the work for you. The only negatives are that they require electricity and need to be charged regularly to be effective. But everyone has a power supply nowadays so this isn’t much of an issue in my eyes. As i mentioned at the start of this article, the idea of there being a “one toothbrush fits all” is simply bonkers. Different people have different needs and when it comes to gum disease it’s simply about the overall oral care that you need to follow. 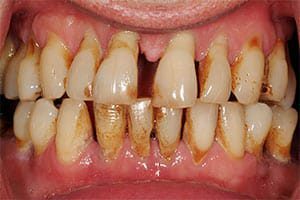 Yes, an electric toothbrush will help to reduce plaque and remove more debris but it wont get rid of gum disease on it’s own, IT WILL ONLY AID. You also need to have other things in your arsenal such as: dental floss, mouthwash, fluoride toothpaste and most importantly, regular dentist check-ups. Both do an excellent job of cleaning out your mouth which in turn will help reduce your gum inflammation. I hope i have given you a good base to work from to eliminate gum disease. If you have any questions please leave a comment and i will get back to you straight away. I guess as you stated in this article that the best toothbrush for gum diease is to just brush your teeth. It doesn’t matter what brush you have as long as you use it. I think your article is great. It’s well written with lots of great information. Thanks for sharing. gum disease is caused by poor dental hygiene, Any electric toothbrush will simply do the job when it comes to plaque removal. You also need to floss regularly and visit the dentist every 4-6 months to keep your teeth in check.